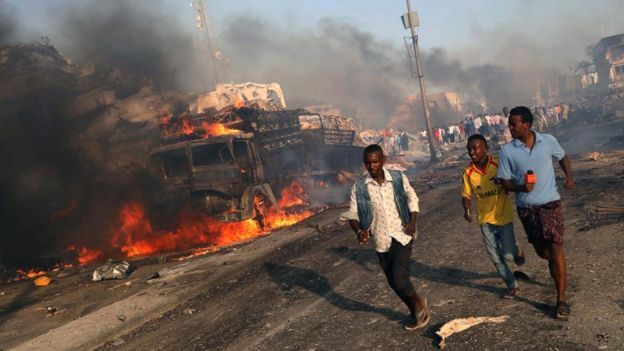 A massive bomb attack in a busy area of the Somali capital Mogadishu has killed at least 20 people, police say. Many others were wounded when a lorry packed with explosives detonated near the entrance of a hotel. After the first blast, police captain Mohamed Hussein told Reuters news agency: "It was a truck bomb. There are casualties but we do not know the exact amount as the scene is still burning."